Breathe a sigh of relief now, because you are not alone on the journey to eating and living a healthy lifestyle! Iowans are resourceful with great groups of people coordinating potlucks, teaching raw and vegan food preparation, meeting regularly, and communicating tips and ideas to each other via social media groups. Hooray! The third installment of Vegan 101 brings together all of the resources currently out there - Yes, I will update this as more are found! If you spot another great resource, give me a shout out and I will make sure this list gets updated. Fork in the Road - Raw food nutritionist Sheree Clark has a huge group on Facebook! 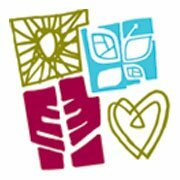 Des Veg Life - A Des Moines area group of vegetarian and vegan friendly people, lots of idea sharing and tips on here! Vegan Meating Club - Another great group online for Iowans! Vegan Diners of Central Iowa - I think the name of this group says it all! 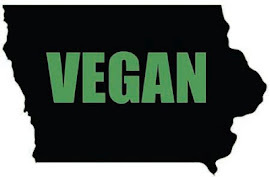 Iowa Raw Vegan Foodies - Raw Vegans unite! Great resource if you are raw or thinking of going raw with your vegan diet. This is a website full of vegan recipes posted by people from around the world. I like to sort by 5 star reviews and look at the comment suggestions for other options. It is constantly being updated and has recently undergone a redesign and facelift. Near holidays, they have a special section with dishes for the season. I admit to having spent hours perusing recipes, using the shopping list tool and marking my favorites on this website! If you do nothing else with any of the suggestions on this blog – at least visit this website. Traveling? Visit Happy Cow before you hit the road, and download the travel app onto your phone. Happy Cow has community listings around the world with traveler reviews on vegan and vegetarian hot spots and grocery stores. Make sure you add your own personal favorites to the lists! Brendan Brazier, author and founder of the Vega product line, has a great website! Blogs, communities for support (recipes, adrenal fatigue recovery, etc. ), training advice for athletes, you name it! Highly recommend bookmarking this page. There are recipes for cooked and raw vegan dishes, smoothies, energy bars, etc. Vegan fashion, recipes, animal activism, this site has it all ~ Features a “Vegan Shoe of the Day” LOVE! For the compassion based shopper – you will find the latest trends, make-up, accessories, new clothing lines, seasonal recommendations, etc. Great recipes and fun ideas! Musings, recipes and lots more. What the hell does a vegan eat anyway? Ha, ha, I love the title of this blog, it is one of my favorites!! If you are active and vegan/raw then this fabulous resource is for you! http://veganlunchbox.blogspot.com/ - This is one of the very first vegan blogs I began following seven years ago. The amazing recipes she produces, and then packs up to send her son to school with, are fantastic. Looking for more information? Did you check out the first two parts of the Vegan 101 guide? Get ready for Raw Food Week in Des Moines! The perfect way to recover from the deep fried coma induced by the Iowa State Fair is to treat your body to some healthy goodness! A full week of inspirational speakers, classes and networking await anyone interested in a healthy lifestyle during the week of August 20-26, 2012. The week starts out with a special screening of Forks Over Knives at Fleur Cinema in Des Moines, Monday night at 7 pm. Forks Over Knives is an eye opening movie providing solid, evidenced based facts about our culture and the current lifestyle we live. Skip ahead for the BIG event everyone needs to get out to on Wednesday, August 22. Hear the inspirational story of Dave the Raw Food Trucker. Dave lost over 200 pounds and helped to fight off life threatening diseases like cancer, diabetes, and more simply by changing his lifestyle and diet. Dave will be speaking at Event Center West from 6-8 pm, tickets are $20. Plus, there are special raw carry-out meals available all week long at Fresh Cafe! If you haven't been to Fresh, you need to jump in your car and go! processed foods. Join us for an exclusive Raw Food Week screening of this profound documentary. While you’re there enjoy a special concession menu of healthy raw snacks and treats. Wondering what to do with the last vestiges from your garden? Wishing you had healthier snack options for the kids? Or do you simply want to transition to better eating, without a lot of work? There are lots of ways to preserve the current harvest for future use, so you’ll have tasty snacks on hand into the fall. This presentation is sponsored by Women of Worth (WoW), a monthly networking group that charges no membership fees. If you’re a woman businessperson looking for opportunities to meet others, WoW is worth your while. Over a period of 13 months, Dave reshaped his life by losing nearly half his body weight: going from 430 pounds to 230. During this time, Dave was successful at weaning himself off 24 of the 25 prescription medications he was taking. Join us for this life-changing live presentation. Dr. Jean Lorentzen, DO, is passionate about the role nutrition plays in good health. In this candid and invigorating presentation, you’ll hear startling information about how prescription and over-thecounter drugs can deplete your body’s nutritional balances. More importantly, you’ll learn what you can do about it—including which foods can help reverse symptoms of chronic illness and disease. with other Raw Food Week participants. Who says eating healthy is boring? 2 Seatings: 11:00 a.m. and 12:30 p.m.
$29.95 for adults | $14.95 for children under 12. Come celebrate the grand finale of Des Moines Raw Food Week while you treat yourself to a luscious four-course gourmet raw vegan Sunday brunch. Let us capture your heart and soul with this bounty of good food and good health. Join us at either 11:00 a.m. or 12:30 p.m. Wine and alcoholic beverages will be available for purchase. Reservations required and can be made at www.meetup.com/RawFoodDSM. This three part series has links, resources and ideas for anyone curious about veganism. There are links to Iowa based nutritionists, vegan cooking classes, Raw Food Vegan classes, a grocery shopping guide, vegan social networking groups, and more! In fact, I consider a nearby coffee shop vital to my happiness at work. With a new job in downtown Cedar Rapids, I didn't have to look far to find some java joy. Brewed Café just opened in the lower level of the CSPS building and I admit to being absolutely over-joyed with the food, atmosphere and coffee. With only a few weeks clocked in at my new job, I have been to Brewed Café numerous times, and it is always a pleasant experience. (Admittedly, most of my upcoming meetings in the next few weeks are also scheduled there.) When you walk in, it is bright, cheery and welcoming. Tall windows overlook the street of the ever expanding and thriving New Bohemia district, filling the small space with natural light and a great view. I had the opportunity to visit with one of the managers, Nate Marsceau. He mentioned that the staff are still getting into the groove of things at the cafe. However, you would never have guessed it from the fabulous service provided. Everyone seems knowledgeable and the service is friendly and fast. Brewed Café has great coffee as well as a simple, diverse menu. Vegan and gluten-free items are clearly marked (Hooray!!!!) You may ask yourself, “What, is this really in Cedar Rapids?” Yes, I thought the same thing when I saw the menu! Marsceau commented that an allergy-friendly menu was one of the plans in bringing additional service to patrons at Brewed. The Cafe's chef prepares food on site in the kitchen. The breakfast menu features a couple of gluten-free and vegan items, including granola and a breakfast cookie. There are several lunch items that are vegan or can easily be made vegan. Each evening a dinner special is featured, often times vegan friendly. I also noticed vegan and gluten-free pasta sides in the glass cooler, and other yummy offerings for on the spot snacking. A small bar inside the cafe offers a different type of brew for the evening crowd attending a show at CSPS. Brewed Café also caters and hosts the Carlo bar upstairs during CSPS events. I lived in Marion and worked in downtown Cedar Rapids for years before moving to the vegan-friendly Iowa City area. My fear in accepting a job in downtown Cedar Rapids again, was that I would once again be constantly frustrated at not finding good vegan friendly food or coffee. Thankfully, I found Brewed Cafe right away! With Brewed Cafe, Cedar Rapids has finally "grown up" and become a little more vegan friendly. The answer is simple. Think non-processed, good for you grains, fruits, nuts, beans, legumes and vegetables. There are a lot of processed vegan foods, and of course they are not quite as nutritious for you. However, everyone knows where to find Oreos and Nutter Butters, so don’t worry some of those old favorites are still edible! For the most part, the standard American diet is NOT vegan friendly. However, Mexican, Indian, Mediterranean, you name it – everyone else in the world seems to have standard vegan meals that are really fabulous. Make yourself a bean and rice burrito, and voila it’s Vegan! Hummus, falafel and pita with a Mediterranean salad makes a full satisfying vegan meal. The question becomes putting together the vegan meals and learning a new way of buying and preparing foods. One of the biggest things a person adjusts to in looking to add vegan meals to their diet is a new way of shopping for groceries. PETA actually has put together a really nice comprehensive list of common grocery store items that are vegan. Surprising items like JELLO pudding and Pilsbury Croissonts can be found on this list. However, it can be daunting to carry a gigantic list of vegan items with you - or to remember all of the items that are vegan. SO, the first step: learn to read ingredients really well. Silk Chocolate Almond Milk – Fabulous tasting chocolate milk alternative. I add this to my coffee on a daily basis. Silk organic unsweetened soymilk – Closest alternative to regular milk that I have founds. It is not sweet or vanilla flavored. Earth Balance - Buttery spread. Is available as an organic option for "butter"
Tofutti – has a soy based sour cream and a soy based cream cheese. I think these taste exactly like the dairy based products! Trader Joe’s has their own “Trader Joe’s” brand of Cream Cheese that is really good. Veganaise – Vegan mayonnaise! I love this stuff. There are tons of homemade cheese like recipes. Most are nut based (yum!) There is only one mock cheese that I rely on and buy from the store, that is Daiya, the rest I make myself. Daiya – This is a great Non-dairy cheese alternative. Even my non-veg friends love this stuff! It melts and tastes better than any other vegan cheese available! Find this in Hy-Vee’s Health Market or New-Pioneer Co-Op. If you are just adjusting your diet, don’t spend money on a ton of different cheese alternatives go for this one first! Clif Builder Bars – 20 grams of protein in each bar! The Chocolate, Chocolate Mint, and Peanut Butter bars are vegan! There are tons of protein filled mock meats out there. I recommend to not rely to heavily on these, as most are still highly processed products. However, there are those days when you have little time or energy and want something fast and easy. Boca – Boca has vegan veggie burger patties, mock meat crumbles, mock chicken patties, and more. Check the ingredients as some Boca products do have cheese or egg. Tofurky – Look for mock deli meats, a Thanksgiving mock roast, and lots of other fun “mock” meat products that are protein packed! Yve’s – Another company with some great mock meat products. Read the labels carefully some of Yve’s products have egg in them. Plant Fusion - I love this stuff, it is non-soy, non-dairy based protein powder that is gluten free! Very easy on the stomach, and it has a really good flavor. One scoop is 22 grams of protein! Plant Fusion is available at New Pioneer co-op in Coralville. VEGA - I haven't actually tried this product, but have heard good things about it. Plus, there are always online coupons floating around for VEGA discounts! Amy’s Frozen Meals – They have a few vegan meals, organic ingredients, taste great! The Tamale Verde Black Bean is my favorite! Locally, Target seems to have the best prices on these meals, usually $1-$2 cheaper than Hy-Vee and other competitors. This is the easiest and most used egg replacer in my cupboard. The big box this mix comes in lasts forever! Ener-G is a mixture of starches that froth up when mixed with warm water. It provides a perfect egg substitution when baking. Just in case you haven't seen the first part in this series here is the link!